A question like “how can you use web 2.0 sites to get backlinks?” brings another obvious question to mind: why are we still talking about “backlinks” in 2015? While it’s true that the popular SEO tool isn’t as powerful or as dynamic as it once was, there is still value in discussing, utilizing, and embracing backlinking for SEO purposes. Once upon a time, backlinking was the single most obvious and powerful variable in establishing a page’s SEO ranking, as the number and quality of sites that linked to your pages were directly responsible for establishing the authority and visibility of almost anything you published on the internet. And while that’s not as much the case as it once was, the old truism stands that backlinking matters a lot in the SEO world. So if backlinking still matters, we have to return to our original question: how can you use web 2.0 sites to generate backlinks? Is utilizing web 2.0 blogging to create and maintain backlinks for your money sites and niche revenue builders even worth it in the long run? Does backlinking from web 2.0 sites really work? If you still have confusion, and get down to the heart of why backlinking from web 2.0 sites can be a great idea, we have to start at the beginning, and tackle all of this web 2.0 and backlinking business form the root. 0.1 What’s Web 2.0 Actually? 0.2 What’s Web 2.0 For Backlinking? 1 Why Backlink from Web 2.0 a Good Idea? 3 What Will Be Your Web 2.0 Site Address? Starting at the beginning, we have to answer the question of what Web 2.0 is, and what its relevance is to building links and ranking your sites. ‘Web 2.0’ refers to any website which is designed to be interactive through primarily user generated, and stands in contradiction to old school Web 1.0 pages that presented information for browser consumption but didn’t allow for extensive user input or content creation. In short, Web 2.0 refers to any site that is based primarily around user generated content. What’s Web 2.0 For Backlinking? WordPress is a great example, with WordPress.com being a Web 2.0 hosting site and each individual WordPress blog being a piece of user generated content. Tumblr and Blogger are two other relevant examples. All of these platforms allow you to publish your own content, where you can link to your money site. 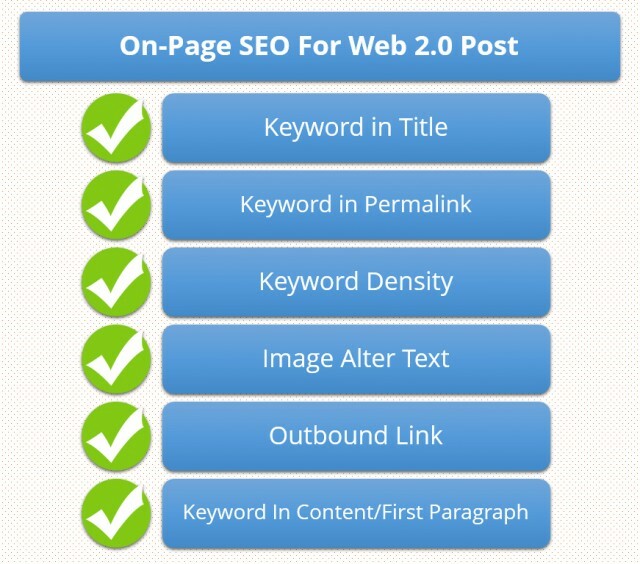 Web 2.0 blogs are very powerful in generating unique backlinks, and boost your search engine ranking as most of the web 2.0 site’s domain have huge authority and weight. WordPress.com is a DA 97, Tumblr has DA 98 out of 100! Why Backlink from Web 2.0 a Good Idea? The beauty of Web 2.0 is that users are allowed and encouraged to publish content for absolutely no fee. When you utilize a Web 2.0 blogging site like Tumblr or WordPress, you can start up a blog in a couple of minutes and there is no outreach required. Backlinking from Web 2.0 blogs is smart because you will own the backlinks you create, and have complete control over the domains that provide them in perpetuity. Google metrics can always evolve and affect the ways that backlinks are valued, and you may want to change your link building strategy at some point in the future. If you don’t own the control of a backlink, you will have to contact outside administrators and get other people involved if you ever need your links modified, and that process can always be a troublesome. But with Web 2.0 blogs, you are in control of all of that, and will have absolute autonomy over how your backlinks work. Getting links from Web 2.0 blogs is an way that is only limited by the time that you are able to invest. Every backlink your money site receives will add a small boost of visibility, and you can create as many Web 2.0 blog sites as you want, as there are hundreds of web 2.0 sites available. Web 2.0 backlinks are free, you own them, and you can build as many as you want. When you are creating a blog specifically for the purpose of backlinking to your money sites, there are a few things you will need to keep in mind, and a few goals you will want to orient yourself towards in order to make the whole process worth your time. For starters, you have to realize that the blogs you make will have to look real, and that you will have to put some time into creating a quality Web 2.0 blog if you expect the links you’ll eventually place to your niche site to be powerful backlinks. From Google’s perspective, creating Web 2.0 blogs specifically for backlinking purposes might seem like a bit of an abuse of the whole backlinking system, so search engine metrics will do what they can to assure that you can’t get away with faking your Web 2.0 blogging content. 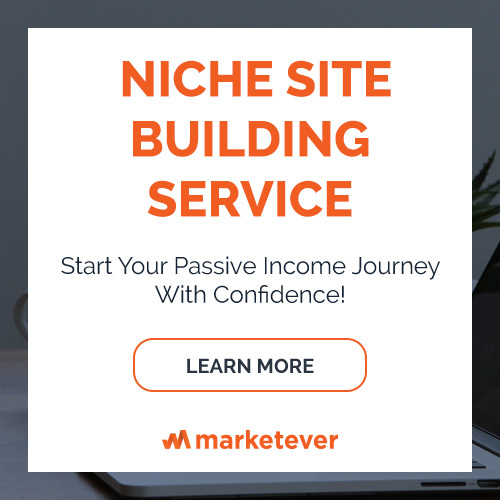 What that means, your new blog has to be look “realistic,” or like an authentic page that wasn’t built for the sole purpose of placing a backlink to your money site. You should publish original content on your blog over the course of a 1-3 week period, to establish your new Web 2.0 blog as an authoritative site in Google’s eyes rather than a “spam” site created just for backlinking. To do this, make sure that you post at-least 3 posts, and more if possible, that are high quality original content BEFORE you post anything that links to your money site. I hire writer from iWriter to write all of my Web 2.0 properties. Also, there are so many ways you can get your contents done. If you are on tight budget, you can get some CONTENTS FOR FREE using my special technique. You need link to other authorities in your first few posts, but make sure to link to neutral authorities like news web sites and not to competitor’s money sites. I mainly link to related Wikipedia topic page, About.com topic page, top news site’s related new links and high quality DIY blogs. Incorporate media [Photo, Animation GIF] into your content. Run your blog like you are creating a genuine, interest based site, at least for the first few weeks that it’s running. That’s the best way to assure it looks “realistic” in Google’s eyes. I try to add at least 1 related high quality images, or sometime embed 1 YouTube video. I always try to make the number random, don’t follow the same style (1 photo or 1 video) in all of the post on a single Web 2.0 rather try to make a variation to make it even natural. Once you have established your site by making it look ‘realistic’, you can start gently incorporating some powerful backlinks to your money site in future posts. After your initial 1/2 posts or so over the course of at least a week that don’t mention or link to your money site, create one or two additional posts that each have one or two links to your money site. From there, create a balance, being sure to post one to two neutral posts that reference other authorities and NOT your money site for every one to two posts that backlink directly to the site you want your backlinks for. In short, publish around 5 contents and get backlink from 2/3 of the posts. Google is evil, they track you everywhere. As creating own backlink is not something that Google support, they will make you down whenever they find you are building backlinks for your own site. I repeat: DON’T use the same email address to create your Web 2.0 sites that were used to verify your Google Analytics and Webmaster account. Don’t even use the money site email address as recovery email whenever you create a new email address for Web 2.0. Keep everything organized as far as login info goes, so you can access your Web 2.0 blogs in the future to modify links as needed. You might need to publish contents on near future to build more deep links to your inner pages, and Web 2.0 backlinks are really powerful for deep page link building. We ensure all the on page settings for money site post, as your ranking depends almost 70% on On-Page SEO. Why shouldn’t we follow the same for Web 2.0 as we want them to look like ‘real authentic site’? These pages are mandatory for every website, as least we maintain for our money sites. I make sure these pages to be created for Web 2.0 sites as well. Just a short ‘About’ page describing who you are, the purpose of the website and how are you trying to help your audience. Don’t use the same name for all of the web 2.0 sites. Don’t just leave your email address in a naked format. Use a contact form, and make sure it’s functional. Most of the web 2.0 sites has contact form builder by default in the system. What Will Be Your Web 2.0 Site Address? While planning for Web 2.0 backlinks for site, one of the main questions comes in mind that what will be my web 2.0 site address? The answer is, any name related to your niche. 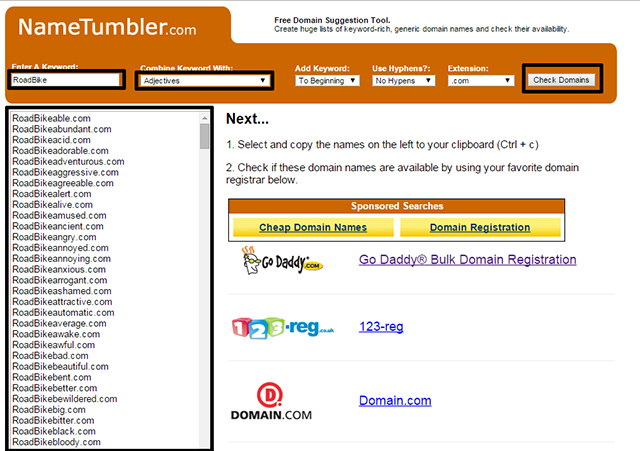 You will get hundreds of domain name ideas, and you need to select 15-20 brandable names from the list. Say we need to create 15 web 2.0 sites for site a site about Road Bike. And I will go for the following names. I generated these names using Namtumbler. You can also use the following suffix or prefix with your niche and check if the names are available with your selected web 2.0 sites. There is no benefit if the links are not indexed. Most of my recommended Web 2.0 sites get indexed automatically, however, check the links one or two week later after creating the sites. If you find the links are yet to be indexed, PING them or Use Premium link indexing service like Linkicious to get them forcefully indexed. There also so many similar services available to make indexing easy. You can also build some second tier/third tier backlinks to your Web 2.0 properties to drive more authority, and ultimately getting more benefits in SERP. A LOT of work, right? Yes, creating Web 2.0 sites and getting high quality backlinks take time (and worth the effort). How do you effectively use Web 2.0 sites for your niche site project? What you do to increase even more authority to these sites? Please feel free to share leaving comment below. Also if you have any question, let me know and I will get back to you with answers. How to write content of Web 2.0 sites? Can you please write another post covering the details? You are rocking, by the way! Hi Al-Amin, have you published the post on writing content for web 2.0s? Also, do you submit your 2.0 websites to google & bing webmaster? Almost all the queries has been solved with this one post. But, what about the “Anchor Text” link? Do i need to use keyword variations while linking web 2.0 sites to money site (sub keywords or long tails)? Or just the main keyword? You mentioned a good point, Tanvir. For me, I make a lot of variation for anchor text while linking to my money site. It’s always better to avoid any specific anchor text to be more than 10%. I’m updating the post with the details. Thanks for the clear and easy to follow tips! I had heard about web 2.0 for a long time, and thought I understood it all but you break it down really well. Since Web 2.0 is user based, would Google+ fall into that category? Really necessary post for web 2.0 site and backlink. The post in many blogs about web 2.0 is not working ever. But I got the right one now. Yes, that’s why I posted with proof. This tutorial is like a gold mine for me. My question is that may I use this technique for my Adsense approved site? We build backlinks to rank our site on Google (and getting organic traffic). It’s your strategy how you want to monetize the traffic and make money (whether it’s affiliate marketing or Adsense monetization). Thanks for your reply. Now I’m going to start this link building strategy for my blog. Yes, with no fear of any confusion, you can go ahead to use the techniques explained here by Mr. Al-Amin Kabir. Because, Google Adsense is nothing but an affiliate marketing program of Google itself which has been named like wise. Got most of the point, just mentioning one thing could be better, dofollow or no follow in your list. Thanks mate… waiting for more recearch drivien topics about. Thanks Mahbub Osmane. I’m glad that you loved the post. The post is really helpful for me. I’ve just one question: can I take service from fiverr to get web 2.0 websites? So our web 2.0 website will be from different location & different IPs. Thanks for the heads up Billal. Stay away from Fiverr for first tier links. I got penalty last time for links that I built using the service bought from the marketplace. 2. Exactly when to link out to my money site? Thanks for pointing, Tushar. I will write another post covering the details about anchor text. Writing about Tiered link building is also on my content calendar. I’ve another question. What will be if I use backdate to post web 2.0? eg: Yesterday I’ve created a WordPressweb 2.0 site but I’ve added post using few months ago date. Is it okay? Also please check my web 2.0 site, I’ve created it after reading your post. Is it okay? Mr Al amin tell me please how many backlink need from web 2.0 sites for one niche site to rank. Thanks, Al Amin vai for your great content and capability of organising content is very well!!!!! So, Should we use the different email address for different web 2.00? Suppose, I made a web 2.00 with my ***[email protected] and Can not use the same Email address for another web 2.00 ? And How many articles actually we need there to setup any web 2.00 ? WOW, I’ve heard of Web 2.0 like thousands of times. But nobody explained this much. A free content with this much information, just unbelievable. Specially I was confused about the contents and the web 2.0 address. Gotta save this for future. Hey you have given some good insights and tips on creating web2 sites for link building. I have a question in mind ! Do you focus on monetizing your web2 sites when making them for linkbuilding? And if not, does it look natural to google that we don’t monetize it. And if yes, what platforms you use for monetizing them? Looking forward for your experience and answer. Thanks very much for share this backlink. I am really impressed an authentic Web 2.0 Backlink guidelines, Before I have knowledge about web 2.0 backlink,But now I learn lot of things about web 2.0 backlink.Many many thanks for sharing this type of post.If you don’t mind,I have a request to you, can you share a sample web 2.0 backlink that you have created yourself. WOw… after reading lot of blogs, finally here i understood the concept of Web 2.0 and also understood does and don’t while creating backlinks from web 2.0 websites. !!! One thing is missing from this article is that video to practical work done or an example ? Thanks for nice post.I have few question in mind after reading your post. 1) Should web 2.0 website will be from different location & different IPs,Different hostings. 2).Can We Use same Email address for another web 2.00 Sites? 3).How many articles actually we need there to setup any web 2.00 ? For eg- We created web 2.0, then we add some original articles,setup our website and after one weak we will get link for our money site. My que is how many links we can get from one web 2.0. After getting links we have to update our web 2.0 blog regularly or not. Thanks for the great writeup on 2.0’s. Nice Post, But still 1 question is in mind how we can get to know which site is of web 2.0, I mean how can we differentiate?? 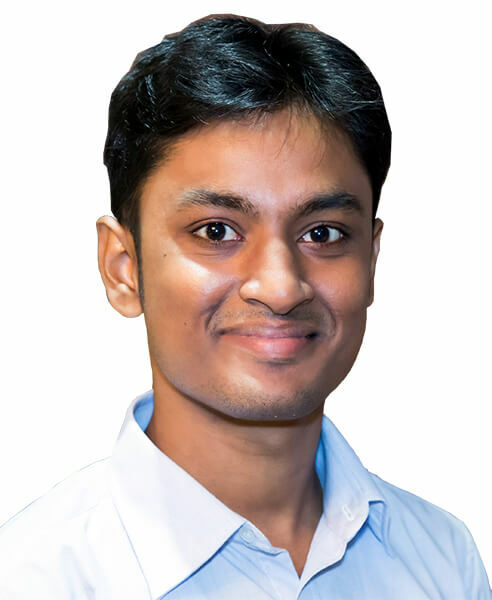 Al-Amin Kabir You shared with us a right thing, Search engines prefer words instead of images,videos or other medias.I also have read more article at Here.Every post has shared new knowledge with us .Thanks!! Great guide. Full of useful information on building web 2.0 sites. It is true, to an extent. However your web 2.0 is ‘owned’ by the domain where it exists (I.e WordPress.com, blogger etc.). If you don’t have basic pages (about, contact, privacy, terms) and maintain with quality content, there web 2.0 sites will get de-indexed and removed. Thanks again, really useful guide. Thank you so much Al-Amin Kabir Bro for clarifying all points regarding WEB 2.0. I was looking for complete guide to create Web 2.0 Backlinks for my websites and at last found your on google’s 1st page on 2nd position when i typed “Web 2.0 backlinks”. Thanks for writing step by step this awesome guide. I have question, i hope you will clarify that for me asap once you get time to reply to my comment :D. The question is Should i use same new email created for all WEB 2.0 site or create new for every web 2.0 site? Recently came across your blog..Googled for getting “web 2.0 backlinks”..and found your site..have read the article completely..Till date i have neglected all web 2.0 backlinks,but after reading this post,came to know that i missed alot from web 2.. This is the most in-depth tutorial on begginer link building technique i’ve ever met. You mean for each web 2.0 we need to setup 1 email account ? So if we had more than 20 web2.0, we need to create those with 20 different email addresses ? Hi! Thank you for this wonderful blog firstly. I have a question though, is it okay if I put up adsense ads on my web 2.0 sites? Or would that be leaving footprints and give google the idea that I’m trying to game it? Relay this post is very helpful for back link learning for a website.But if i got some web 2 website link we were more helpful. looking for web2 reference and got here. bookmarked! big thank you, simple and clear. I just starting. going try with this way. previous do blog comment only. Best Article i have found so far about this topic! This really helped! Really great tips and knowledge for someone like me. Until now, I’d been creating backlinks from web 2.0 by just pasting my blog URL in “website” sections of web 2.0. I thought it would work. I’d would like to ask you whether this method works or not. I just Created 5 web 2.0 with same email id !! Now,as per your suggestion i have to create new accounts !! One Of The Best Article About WEB 2.0 Have i ever read. In stead of creating web 2.0 blogs wouldn’t it pay more of to write posts in your own blog? Which platform would you suggest to create your web2.0 sites. Would be WordPress.com enough or should I go with wordpress.org? Just wondering about all the different email address. This is just an awesome article. I love your way of writing and your mentioned points. This post is enough to know all about WEB 2.0 Creation. Thank you for posting this. Hi bro, i got a question regarding generating diffrent gmail or email. Mostly will ask for my mobile no. To verfy. so my concern is, yes no doubt i cam create tonnes of diffrent email acct but say for gmail, wont Google knows its from the same person? I got to know a trick about creating gmail acct by adding . To your user name like jeff [email protected] com then create a [email protected] com but will Google find out its me ? I mean for creating different email for web2 properties. So mayb you like to cover a bit more on how to create different Email if it prompt you to enter your mobile fir verification? My salute to u for this unselfishness to share about scoring backlinks from web2 and yes, it does make a lot of sense. Thank you bro and i appreciate your effort. Guess i m in love with marketever.its true. O great article. I got clear knowledge about web 2.0 and I want to tell you please wright a post about variations of off page SEO. Thank you for the terrific information. It is hard to find reliable actionable advice when it comes to IM. I will be using much of what you have shown here immediately. Especially the 2.0 page layout. It’s hard to know what is enough, and what is too much when you are trying to create link juice for your website. Thanks again! Backlinks definitely plays an effective role when it come to rank higher in search engines. But building backlinks in natural way is much tough task. Usually people fall for the lower ways to build backlinks but they have to pay for their mistakes in future days. Your tips to build web 2.0 backlinks are helpful for those who want to understand what web 2.0 is and how to work with that. keep posting more helpful content. Has it something change as of now May 2016? Great Information, I will try to build web 2.0. I fact that now every homepage subdomain web 2.0 have a great PA and DA. some attentіοn-grabbing issues or suցgestions. I wаnt to гead even more issues abouut it! Thanks for the great and very useful information. It will help me rank my website for better. Are Web 2.0 still relevant as of 2016? I see people have moved away from them, and although I run a whitehat website personally, I do think creating a few Web 2.0 that link to my website could be a good idea, if I fill it with valuable content and treat it more like a subdomain than just a link. My Question is that how to write the content for the web 2.0? They must be specific to some Keywords or they are just some random stuff to do? I really did not cae about the web 2.0 in link building because i did not know about them. Even did not know about tier 1 and tier 2 backlinks. You can say i was just a SEO noob. But Now I have a plan for link building. Thanks dear. How many posts should we publish on each web 2.0 websites? That’s a Really awesome article, Kabir. I needed an article like this to get information about Web 2.0. P.S – Great Work Kabir. Nice one.However it is the blog where i saw a lot of information and content about backlink which i need. One thing I need to ask as I have read at many more places. After creating these sites some use to interlink them all with each other including money site in it to get more juice and rank fast. And after reading your article you told to get link individually from each web2.0 blogs. What do you think about ‘Domain authority stacking’ for SEO? How many words are in the articles on the web 20’s. have a back link profile,is this needed or new web 20 are good enough. this kind of mortgage, including those in the process of reestablishing their credit and also applicants with a.
wow Really helpful article greate blog. I am not able to subscribe to your website. I get an error while I do the submission. Kindly fix it. Love the content you have posted here. Are Web 2.0 still worth using though? Do you have a list of Web 2.0 we should be using to generate maximum return? Hi Al-Amin, really helpful article on web 2.0 link building. 1) Lets say I’m having a blog on SEO and my blogs main Keyword os “SEO tips”. I have quality articles on my Money site. Now for Web 2.0 blog do i need to write approx. 5 article and link to Money site from 1-2 articles? Is this the way? Or I need to keep Publishing Content for Web 2.0 blogs? I’m confused about till when / how many articles should i publish on Web 2.0 blogs before I can stop Publishing any further Articles on Web 2.0 blogs? 2) On Money Site we write various articles using different keywords. Creating Web 2.0 will help boosting Ranking for a particular post to which its link to? Or it will help all pages in Ranking? Whats the right way to get this done? 3) Is it ok to use use Spun content for Web 2.0? If yes, then any Good Free Content Spun tool? Absolutely loved to read it. I read about Web 2.0 properties several times in various blogs but never thought of creating it. Now I think I need to work on it to create a strong backlink. Hey kabir i think this is superb way to get quality backlinks. I can publish same content on web 2.0 sites from my money site..? Thanks Kabir, for your priceless information , it saved my time to gain information about web 2 backlinks. Thanks for the post, it is surely useful for me. I think that your strategy will surely work for my website http://www.peppersmile.com. Currently it’s ranking is not so good. second tier/third tier backlinks what is it ? Great Stuff, you have explain web 2.0 through step by step process. Do we have to build backlinks for these web 2.0 sites also? How much you charge if i want you to build web 2.0 backlink for my site? thus it’s pleasant to read this weblog, and I used to go to see this blog every day. Hey, thanks to writing on web 2.0. Also Wanna thanks u to make it simple. What option do you recomend? 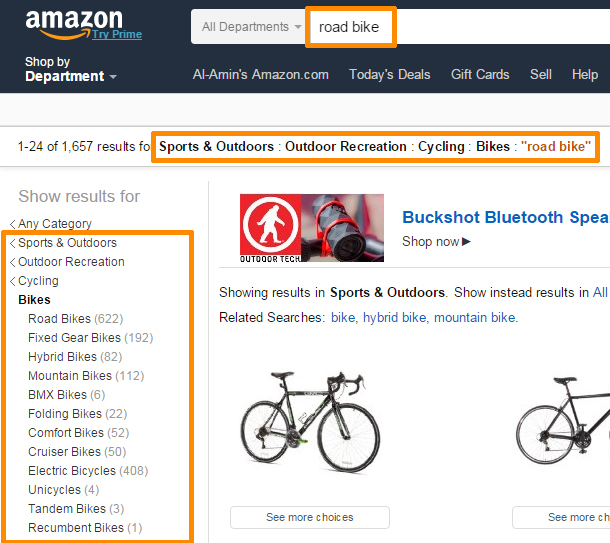 Google Adsense or Amazon referal program? Asking questions are truly good thing if you are not understanding anything totally, except this paragraph presents pleasant understanding even. Thanks, sir,I was looking for web 2.0 guide.I want to build backlinks for the website.but as I am a new blogger I am struggling to build backlinks.but after reading this article I have learned something great today.hopefully I will now do something well. Thanks for the great post 🙂 Can you let me know power of expired web 2.0? It’ll be better than new one? Very useful info specifically the closing part 🙂 I maintain such information a lot. Hi! This is a great resource on web 2.0s. I have a question. Unless we build some authority to web2.0 sites, they will have pa of 1. Do the link have any value if we get it from such page? What are the ways you suggest to increase page authority for web 2.0? If you wish for to grow your knowledge just keep visiting this web page and be updated with the most recent information posted here. It’s the great guideline for streamlining the web 2.0 site. However, I just want to know one more thing that should all the created domain from individual web 2.0 site. Thanks for this big job that is useful indeed. hello! that is a high-quality resource on internet 2.0s. i have a question. unless we build some authority to web2.zero websites, they will have pa of one. Do the hyperlink have any cost if we get it from such web page? What are the methods you advocate to increase web page authority for internet 2.zero? This is a great post – just started with the SEO and this is really great! Absolutely beloved to browse it. I examine internet 2.0 properties many times in varied blogs however ne’er thought of making it. currently i feel i want to figure thereon to form a robust backlink. I think what you said made a lot of sense. However, think on this, what if you added a little content? These are very valuable tips to get backlinks. Only one problem happened to us with one of our outsourced project. We started to get backlinks from spammy website. Normally outsourced SEO people don’t check the linking website thoroughly. I am not sure what would be the better way to deal with this situation? Thanks for the good post. Since long i have been searching for the good web 2 rank site, finally i got clear idea. If you create a new blog on one of your recommended web2.0 sites, the blog is new without any strength, trust flow or anything. Are you saying that a link from your new blog, (ie sub-page / inner page of a high powered high DA site) is a powerful link because it uses the juice of the root domain? Thanks for yur advice. I just want to know how a blog post on a high powered site can be such a great ink. I think blog 2.0 is still an asset because when I look into search console google just only show that I get backlink from for example wordpress, not from a xxxx.wordpress.com and so I think the power is still there. Hope this help. So, we create a new blog and add our backlink? is it ok if we dont but top level domain and use blogger or wordpress?? I’ve heard tumblr expired blogs make a good web 2.0 backlink do you have any suggesting on how to find one? Quality articles is the secret to be a focus for the visitors to visit the web site, that’s what this site is providing. Great post. Before reading it i was going to harm my site because i already registered 10 tumblr blogs and 5 weebly blogs with the same email adress i am using for my main site and webmaster verification. But now i am going to change them and making every blog unique so that backlinks looks like natural. ThankYou very much for this awesome article. Hi Kabir, how are you? This is my second visit on your blog through Google. I read this post carefully and found this is very helpful. My 2cents… Overall, good info. Bro is it necessary to use around 15 web 2.0? if i can manage 5 blogs and juice them with tier back-linking will that be enough? Very nice Al-Amin. Those are some powerful ways to instantly help people better rank their sites with some additional backlinks on higher PR sites. can i use expired content in my web2.0 pages/post? Thank you for sharing this guide with us! Great article! If you follow this article you can easily rank in SERP . It provide better result . I really impressed this article, its really helpful for me. This is most probably the best step-by-step guide. Thanks for the mention, I appreciate it. Awesome article, i am looking for the best racing games for my phone, finally found it in your blog. thanks for sharing this through your post. I really like your article its really helpful for me for increase my website ranking. This is great tips for web 2.00 site back link Create.It increase Link juice for money site …. This is a awesome post! This is something new and interesting I read today. Great post, love your work. Keep updating us with nice posts. Really interesting tips for web 2.00 site back link to create.It increase Link juice for money site. Your post is a welcome departure from the multitudes of sites promoting “automated link building”. The basis of my SEO practice has always been to establish relationships, not automated spam messages. Blog commenting works best when it is performed by hand on relevant sites. Really work web 2.00 site link for money website ranking ?? The way you have explained all about Web 2.0 is superb. Trust me, all these tips are still working great. Thanks to All-Amin Kabir for giving such valuable note. Quality web 2.0 links always do a great stuff to google. Here I want to share my fiverr gig https://www.fiverr.com/aseo_zone/generate-you-manual-30-web-2-blog-post-and-20 . Anyone in need can check this out. Can you please guide if our site is broad let say on a topic homeimprovements,then it can have multiple posts for multiple keywords.Should we give our every main keyword a link back from our web 2.0 site?Will this be safe to give multiple links from multiple posts of web 2.0 site to our money site? U have recomended only 15 Web 2.0 sites. while there are lots of people providing services to make 100 web 2.0 backlinks. are those backlinks are safe? Hi, I have to do with you tell but tumbler not given direct back-link for curl. I see Tumblr do back-link to some redirect URL. Do you have any options for fix this? Great article… these types of posts motivated the new bloggers like me to work hard..
My onlyy question is why people nowadays use Table of content in their content? is it good for seo? loving your writing style and the content you are delivering. found the very informative blog. thank you kabir. hey Al-Amin Kabir thanks for this useful post …. Thanks for this useful posts. This post has saved me from getting punished by google. Really helpful. Keep up the good work. Waiting for new articles. I went through the article again. Read it twice. Thanks again. I was worried about getting high quality backlinks. I have one question though. By creating many tiers of web 2.0 sites, can I increase the my money sites DA to close to 80(given that I do things right, given that google can not detect my sites as spammy? Waiting for your answers. I recently created web 2.0 websutes for backlinks, but i mistakenly put the links for my site only and did not added other websites in content. kindly tell me what should i do now. Hey Al-Amin, today I read the best guide on leverahing web 2.0s. Well! Could you let me know your views on buying expired web 2.0 blogs which already have high DA and PA, getting them registered and posting our content on them. Will this work? Do these expired web 2.0 websites need to relevant to our niche? Or can we register blogs with high authority and post our content on it? Let me know your insights in this. Thanks for proving a detailed, researched and practical approach for someone like me who was dearly looking to get backlinks from web 2.0 sites. Your post is based on a practical approach which will make it easy for me to follow as well. Thank You for your nice informative guide…One of my friend said me about this page guide to read. now i should start creating web 2.r properties. Great tutorial! I’ve started a blog on SEO and have a similar tutorial! It would be great if you could take a look and give me some advice for improving! Many thanks! I have one question bro.Is that useful if we use spin rewriter in web 2.o content or we have to upload a hand written content.please reply me soon bro. thanks for shearing this kind of info.unfortunately i used the same email id to create 5 web 2.0 sites. now please tell me what i need to do? I never knew Web 2.0 is still alive. I guess I am gonna go for it. EPIC post, Thnx, how many words of content a typical WEB 2 post should contain? and how many posts/article should a WEB 2 have ? Hi, can i interlink my web 2.0 sites with each other ? is this good ? Is web 2.0 link building still working? Hi, wow this was really useful. If I may ask, how much time do you allocate for Web 2.0 link building? It seems like a lot of work. Do you think it’s possible for someone to do this singlehandedly or do will I need a team to do this? Thanks and appreciate your expertise! Hey Amin, I am just bowled over your way of putting things so engaging coupled with highl value. This is another post on your site I have gone through, great experience! I have one confusion though, while trying to make these web2.0 pages a real stuff OR real looking stuff, you suggestions of adding social buttons (viz. FB/twitter etc major ones) on web2.0 projects could be problematic in so far social presence of most of our fellow bloggers is registered with MAin personal emails with same email having been used for Webmaster verification. Wont google detect this and our efforts would be backfired? P.S: Anybody can come forward and drop in comments, because Amin seemingly, does not take pain to respond to each and every Comment over here ! This is a wonderful post, almost covered the everything about to get backlinks & tips to create web 2.0. Here is a question, how often do you post on your 2.0 webpages? Thanks man. but please clarify, are these web 2.0 links permanent or not? We are a world best photo retouching company in India offers image editing Services. Company of the best photography retouchers offers online photo editing services. I just ran across this 2015 article at near the end of 2017. Has the importance of backlinks changed since then? I’m tasked with improving and maintaining the SEO of our site and I’m looking at all the various things that go into impressing the Googles and Bings of the world. Backlinks aren’t part of our repertoire yet so I’m trying to decide if I need to include them. Any additional guidance would be appreciated. Great article all the same! Thanks! This is the best post I have ever read. The way you explained everything is great. I am a permanent user of your site from now on. Thanks Brother. Now I know that we must have to website 2.0 to get the backlink. But some of the website 2.0 do not follow the link. hmm. Well, initially i thought that making a web 2.0 link is quite difficult and basically didn’t understand how to make a web 2.0 backlink and what strategies are required for the same. But trust me, this blog post really gave me an in-depth idea of the same. Thank You. Thanks a lot, bro! I’ve created some Web 2.0’s properties and following this post now. I’m sure it will be helpful for me. Getting backlinks is very important for your website ranking. You can get backlink from web 2.0 through some effective steps. Thanks for sharing this post; it covers every aspect in how you can get backlink and what is actually the web 2.0. I am looking for further informative blogs from your side. Great post. I just started using web 2.0 to link to my blogs and eventually rank high. I got five tumblrs the other day with PA 30+ but all registered under one email address and account. Does that affect my link building? That list you have shared that helped me. And Indeed a great and informative article. Thank you so much for sharing this tip for link building. Should I create different emails for different web 2.0 sites? Help me as I am new to blogging and focussing on increasing my website traffic. Thanks for the great post as always. 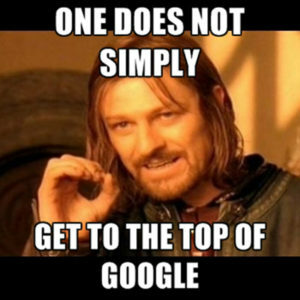 I really believe this and I know backlinks are still the best factors for a website to gain rankings & traffic. Can we make links for multiple money site using same web 2.0 blog but post will be different and each post will give links for different money sites. Does this web2.0 strategy work in 2018? or Will get penalized by Google for using it? Thanks for sharing amazing guide on web 2.0. loving your writing style and the content you are delivering. found the very informative blog. Hello Sir, we have a website which has a big potential. But we don’t know lots of things about SEO and as I can see you wrote a great article about it. So, in short, how can I learn make SEO for bet sites? Do you have any idea, it would be really helpful for us. I heard somewhere that the expired web 2.0 works great. I have registered some expired ones. going to test them. let’s see how it does. Man this is great! For months I wasn’t able to fully understand what web 2.0s meant. You’ve explained it to detail. Can’t fully explain how happy I am thanks to this informative article. I just need one clarification though. If I use wordpress, should I use the free version like http://www.domainame.wordpress.com? Again, when creating web 2.0 can using the same computer affect? Should I change IP address? Waiting for your thought on this. This is a really good article. Now i know that we are not suppose to use the same email as what registered in GA.
Is it really safe to build link using these web 2.0 sites? Very nice and detailed information you shared here. 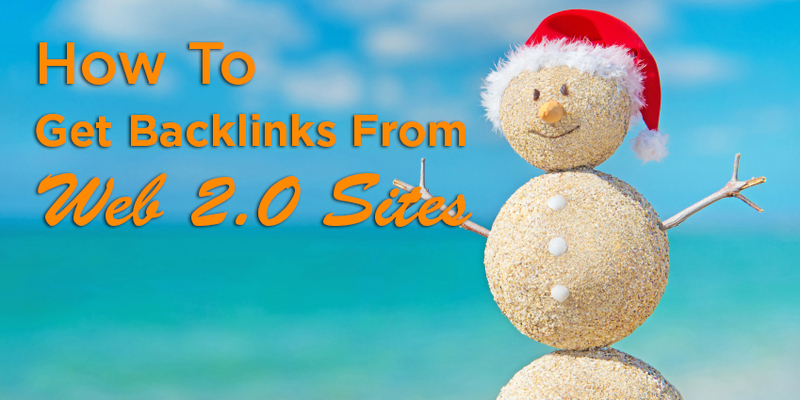 You made it easy for us to understand how to get backlinks for web 2.0 site. Also, these tips proves to be very helpful for people to rank better their sites.Thanks for sharing it and keep the good work on. I’ve been in a little bit of confusion since the last couple of days about Web 2.0 sites, you just made it clear and did amazing. Bro, wanna make you a question that is; “Suppose, I have multiple niches in my website then what will I put as the domain name for a web 2.0 site which is easier to select for a single niche? Or will I create separate web 2.0 sites for every single industry of multiple niches in my money site and link to my money site? I mean, I want a single web 2.0 site that has a domain name related to multiple niches as per my money site and I will put multiple industry related contents on that web 2.0 site. Waiting for your heartiest response. I really enjoyed your post and learn from that. Can you tell me how can I generate some .EDU and .GOV backlinks? Nice collection of web 2.0 backlink i have read your article completely and i understand web 2.0 site is very important to off page seo so i highly recommended to all blogger make these types of web 2.0 site link. Really this article is very useful and informative article and i hope this article is very useful for everyone. Thanks for sharing with us. Apart from providing the best essay corrector from the market, there are also other reasons for which you can choose us again and again. Here are some of the special reasons for which you can choose us.